The iconic first and greatest bass guitarist of the Drifters (later Shadows), who also topped the charts with drummer Tony Meehan who sadly died at the age of 71 of throat cancer on Friday 18th March 2011. Jet on standup bass at a pub in Willesden, North London, 1956-1957. 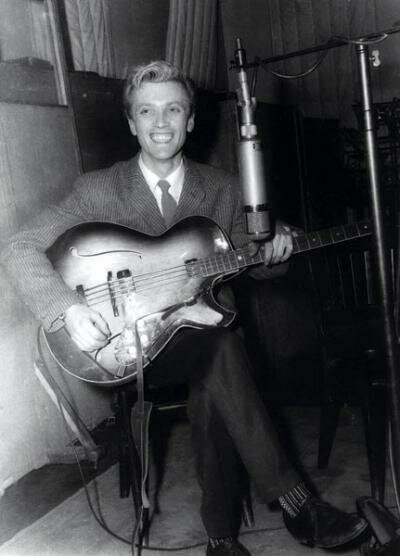 Very few of the first British pop stars had a sultry, moody image: like Tommy Steele and Cliff Richard, they were eager to please. In Cliff Richard's band, the Shadows, though, there was a skilled and cantankerous bass player, Jet Harris. His presence gave them a rough edge and Harris continued with this persona, which was the real thing, once he was sacked from the group and had become a solo star. Born in 1939, Terence Harris was born in Kingsbury and raised in Willesden, the only child of Bill and Winifred Harris. Because he was a good athlete, his schoolfriends named him "Jet". In the mid-1950s, he became interested in music - but, unlike most skifflers who used tea-chest basses,he made a four-string bass and taught himself to play it. His parents were horrified when he announced thathe was going to make his living as a musician. 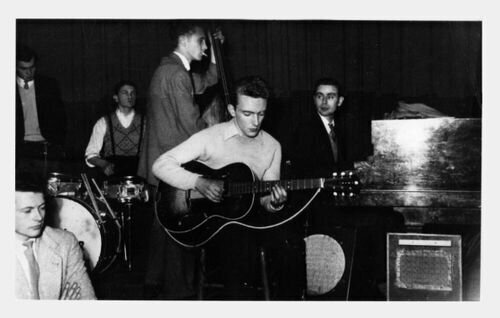 At first, Harris played in jazz clubs and he was given the opportunity to join Tony Crombie's Rockets, a collection of jazz musicians masquerading as rock'n'rollers. Crombie told Harris of a new invention, the electric bass, and he soon bought one. Harris is the first known musician to have played an electric bass in the UK. Harris backed the rock'n'roll novelty singers, Wee Willie Harris and Larry Page ("the teenage rave"), and he would gravitate to the Two I's coffee bar in Old Compton Street looking for work. Harris joined the chart-making skiffle group, the Vipers, but they were losing their popularity. He played on their switch to rock'n'roll, "Summertime Blues" (1958), and they toured with Old Mother Riley. Meanwhile, a young singer, Harry Webb, had been renamed Cliff Richard and recorded "Move It!" at Abbey Road with session musicians. Ian Samwell, who had written "Move It! ", realised that he was not a good enough bass player and Jet Harris joined. Cliff Richard and the Drifters (as they were so named) toured the UK with the Kalin Twins and Eddie Calvert, but it was soon realised that Cliff was the main attraction. The Drifters were allowed to record in their own right and their second single was Harris' own composition, "Jet Black", written while on tourin Grimsby. When they had to rename the group because of a complaintfrom the American band, the Drifters, Harris suggested the Shadows, a brilliant name for marketing purposes. 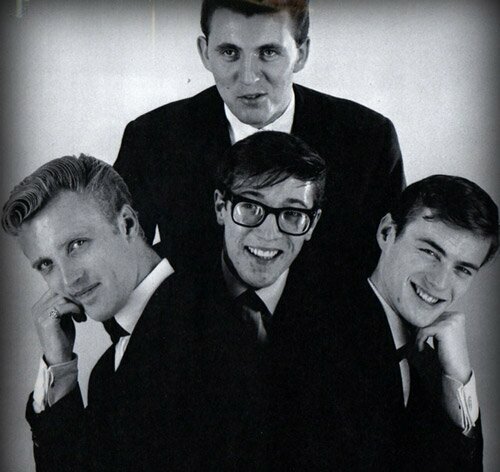 The Shadows had their own No 1 record with Jerry Lordan's highly atmospheric "Apache" Admittedly, it is Hank Marvin's echo-drenched lead guitar that we all remember, but the record was a perfect example of team work, with Bruce Welch's rhythm guitar, Jet Harris's bass and Tony Meehan's drums. Further hits followed with "Man Of Mystery", "FBI" and "The Frightened City" as well as a No 1 album, The Shadows, which remained in the charts for over a year. The opening track, their own composition, "Shadoogie", was one of their most infectious records. However, the Shadows' stage act could be shambolic, and in an infamous incident, Jet Harris fell off the stage, drunk, at the Cavern in January 1961. Although Paul McCartney was not there, he often impersonated Harris falling off stage during the Beatles' own performances at the Cavern. The Shadows backed Cliff Richard on his hit records and they all appeared in the highly popular film, The Young Ones (1962). Tony Meehan, although an excellent drummer,was sacked for tardiness and replaced by Brian Bennett. Bruce Welch would remonstrate with Jet Harris about his drinking, but it was to no avail. He was sacked from the group shortly after they had all recorded "Wonderful Land", which would be another No 1 single. Although it was not known at the time, Cliff Richard was having a romance with Jet's wife, Carol, and he attributed his drinking to this. Decca Records could see how charismatic Jet Harris was and he recorded "Besame Mucho" and "Main Title (Theme From The Man With The Golden Arm)" with Meehan producing. He also recorded the occasional vocal, such as "Chills And Fever" and "Some People". 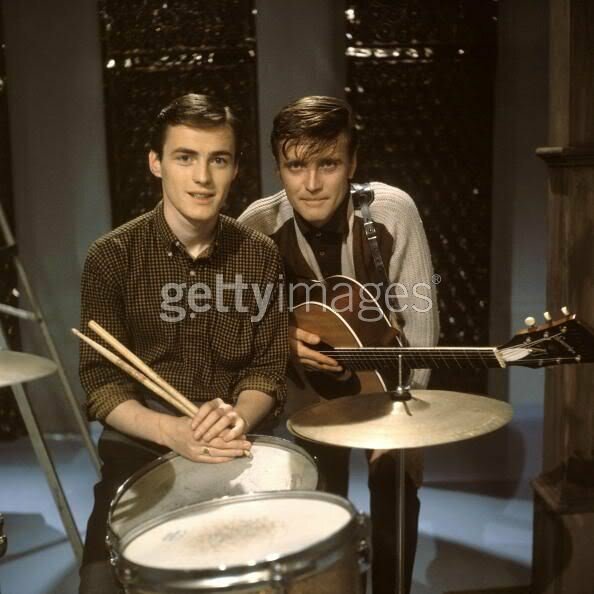 In November 1962, Harris and Meehan decided to work as a duo and they went to No 1 with another Jerry Lordan composition, "Diamonds". In an interview Jet Harris said, "I took an ordinary Fender guitar and detuned every string a whole tone which enabled me to hit notes which were much lower than an ordinary guitar. A lot of people wondered how I'd done that. It was murder to work with on stage because once you slacked off the strings, they would go out of tune so easily. "Besame Mucho" was played on a six-string bass but "Diamonds" was using a detuned six-string ordinary Fender guitar." The duo had further Top 10 hits with "Scarlett O'Hara" and "Applejack". 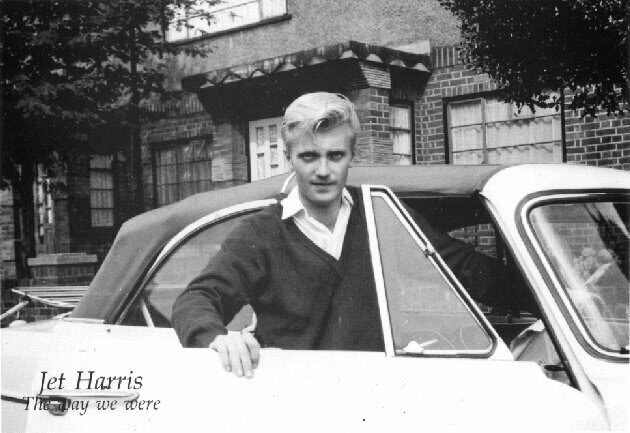 Harris and his girlfriend, the singer Billie Davis, were in a car crash but his manager insisted that the injured Harris should appear on ITV's Thank Your Lucky Stars to promote the new single. Harris refused, leaving the hapless Meehan to mime on his own, and he and Davis disappeared for three months. The press tried to find them and eventually they were discovered in digs in Brighton. Harris became a controversial character, and as with PJ Proby and George Best, the newspapers liked to report on his heavy drinking and bad behaviour. He was arrested for possession of drugs in 1968 and although he was found slumped at the wheel of a car, the police could not prove he had been driving. He was declared bankrupt in 1988, and the following year Cliff Richard invited him to take part in his celebratory show at Wembley, The Event. In more recent years, Harris worked with various rock'n'roll bands notably the Rapiers and his luck turned with the oldies tours promoted by Flying Music. He released records from time to time including "No Other Baby" and "Back In Our Rock'n'Roll Days" with Billie Davis. Davis was no longer romantically attached but they remained good friends. He settled with his partner in the Isle of Wight and grew to love the area. Heavy smoking took its toll and when Jet Harris was seen in 2009, he was unable to sing but he could still talk and was still playing excellently. The audience loved the way he had developed into a Victor Meldrew. 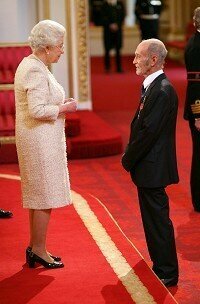 In 2010, he received an MBE, which he would proudly show to audiences. Terence (Jet) Harris, musician: born London 6 July 1939; MBE 2010; married (four sons); died Bembridge, Isle of Wight 18 March 2011. Jet's funeral was held on Thursday 31 March 2011 at Basingstoke with family and close friends only in attendance.